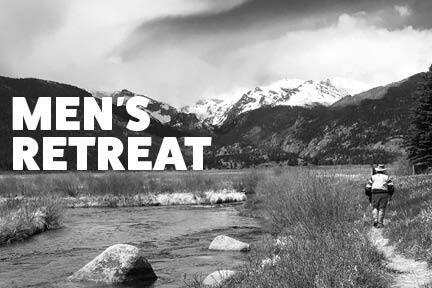 Sign up now for the 2019 Men’s Spring Retreat – April 5-7 at the Evergreen Comfort Suites Hotel in Evergreen, CO.
All St. Andrew men are invited to the Men’s Ministry annual retreat to be held April 5-7 in Evergreen, CO at the Comfort Suites Hotel where Rev. Andy Dunning will be special speaker. Thirty men are signed up so far and there is room for you. Day-only attendees can attend for $40, which provides lunch and snacks and helps us pay for the meeting room. Weekend attendees can stay overnight Friday and Saturday night for $280 for a single room (no roommate) or $180 for a double room (with one roommate). Join us for a special new retreat format and new venue close to home, but still in the mountains. The retreat will be fully focused on sharing and discussing how we lead the Christian life and solve our challenges. There will be no lectures, but rather engaging sharing time led by our executive pastor Rev. Andy. Our meeting room and all lodging rooms will be in the Comfort Suites hotel, only a few minutes west of Denver near I-70. All rooms have microwaves, small refrigerator and television. The hotel has an indoor pool, sauna, hot tub and fitness room. The cost is $180 for a double room (2 men per room, separate beds) or $280 for a single room. That cost covers Friday and Saturday nights, and catered dinner on Friday, breakfast and lunch Saturday, and breakfast Sunday. Dinner on Saturday night will be on your own tab as we go to a café in Evergreen. SIGN UP NOW BY sending email with your name and preference (day only or overnight) and your room choice (single or double) to retreat chair Steve Baska at stevebaska@yahoo.com, then send a check to Steve at 1323 Castlepoint Circle, Castle Pines, CO. 80108. Write your check to St. Andrew united Methodist Church and put men’s retreat in the memo line. FRIDAY night session — 7 to 9 p.m. — introduction of attendees, each describing (if comfortable) what kind of work they have done, what they do at church, family. Discussion on what we will cover in each session and what we hope to get out of this weekend. Andy describes the covenant that this is a safe space with confidential discussions this weekend. In our covenant groups at St. Andrew recently, men have shared widely different views on what “God” is to them. Some say God is an intelligent being who created the universe and brings all people home to him in a traditional concept of Heaven; others say God is only the energy of the universe and that humans are only energy that returns to that central source. Let’s discuss our different views and how we arrived at them and how that affects our lives. What is your concept of God and why? Andy will start us with a few minutes of explaining the practices and noting that our concept of what “God” is often determines how we practice the spiritual life. Some of our men admit they never pray and they rarely read the Bible. Why? We will discuss in small groups first, as we seek men to open up and share honestly when they pray or why they don’t; where they serve and why, and so on, to help our attendees see what other men actually are doing. SATURDAY evening session — 7:30 to 9:30 p.m. – “What are our life challenges?” Building on the safe sharing done in today’s sessions, we will ask men to share what they are facing today in their lives, their families, and how St. Andrew can help. Would you like advice from this group of supportive men? They will be here for you. How do you feel about growing older and your health? Let’s share our concerns in this safe space. And how can the church improve its offerings? (Music singing at end of session led by Bob Eilert). SUNDAY morning — 8 to 9 a.m. A short service and discussion. Steve B will lead a discussion reviewing what we shared and our takeaways from this weekend. Prayer and a few songs together offered. (Rev. Andy will have to leave earlier Sunday to be back at St. Andrew to help with services).